Ottawa South United is pleased to announce that we have been officially accepted into the League 1 Ontario for 2017. The successful application will see OSU launch a men's team in 2017 and a women's team in 2018. This endeavor will become a partnership with the Ottawa Gloucester Hornets, as part of the two clubs strategic alliance. League 1 is a pro-amateur, standards based league, which is officially classified as the Division 3 national standard. OSU and Ottawa-Gloucester Hornets have been developing a steady stream of talented male and female graduates who move towards professional and post-secondary play. League 1 will now provide a crucial link for talented players to continue on an accelerated pathway of success in the game. We can now ensure that talented players between the ages of 17-23 have the best opportunities to continue their development in our region. "OSU is very pleased to have secured a license to play in League 1 Ontario in 2017. This will add a critical program for the development of players from U17-U23 while also providing a pathway to aspire towards for younger players in our club. As part of the phased-in approach, to ensure long-term sustainability by the league for license holders during this significant undertaking we will begin building the men's program in January 2017, and the women's program in November 2017, for entry in 2018, " noted Club President, Bill Michalopulos. "The Ottawa Gloucester Hornets are extremely pleased to bring our Alliance with OSU to a new level. It is this type of collaboration that needs to take place in our soccer communities across the province and the country so that we can create viable pathways to success for all of our players and coaches, and not just at the top level of play, but rather at all levels of play," added Hornet Chair, Ralph Ehlebracht. 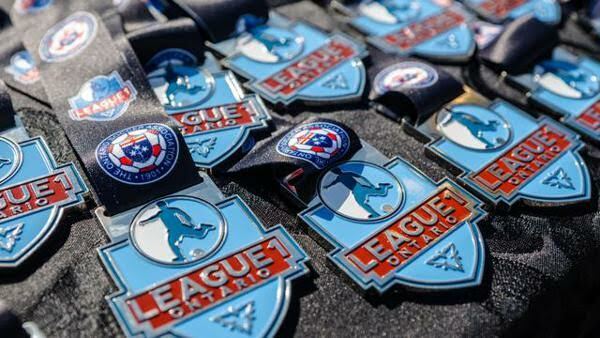 "League 1 Ontario is thrilled to have OSU join League1 Ontario's Men's Division in 2017. We have altered our application regulations for the 2017 season, limiting all new entries to enter only one team. OSU has however already informed the league that, assuming the 2017 season is a success, the club has every intention to submit an application to add an OSU Women's division team in 2018," mentioned league commissioner, Dino Rossi. Ottawa South United (OSU) is a soccer club based in Canada's capital, Ottawa. With some 6800 members, it is one of the largest, as well as most successful clubs in Ontario and Canada. Over 160 OSU Players have moved on to play university and college soccer both in the United States in Canada since 2003. In addition, multiple OSU players have moved on to professional clubs both in the MLS and Europe with many featuring for the Canadian national program. Ottawa Gloucester Hornets is a soccer club based in Ottawa's east end and is the youth and competitive wing of the 5,000 member Ottawa Gloucester Soccer Club. The Ottawa Gloucester Hornets have developed players that have gone on to play in MLS academies as well as in Provincial and National programs; Hornet alumni include players who are currently playing on National squads outside of Canada as well as in Division 1 European leagues.